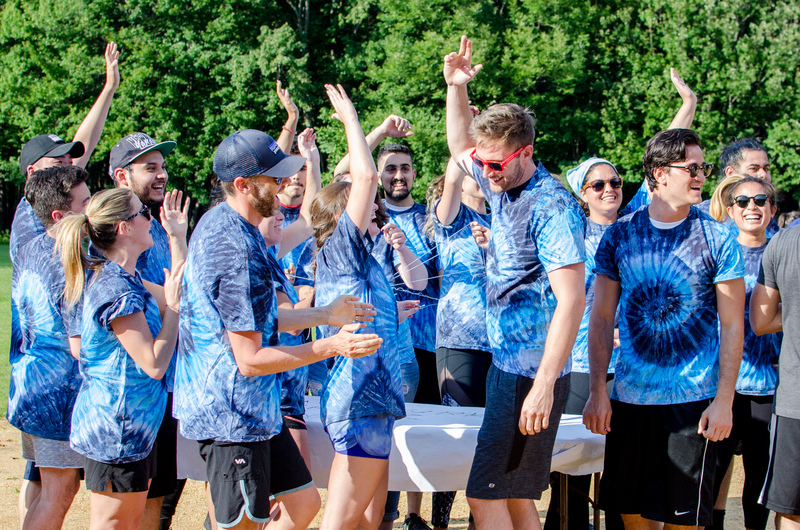 More companies are taking their teams offsite to bond, which means your company should consider the benefits of staff retreats. 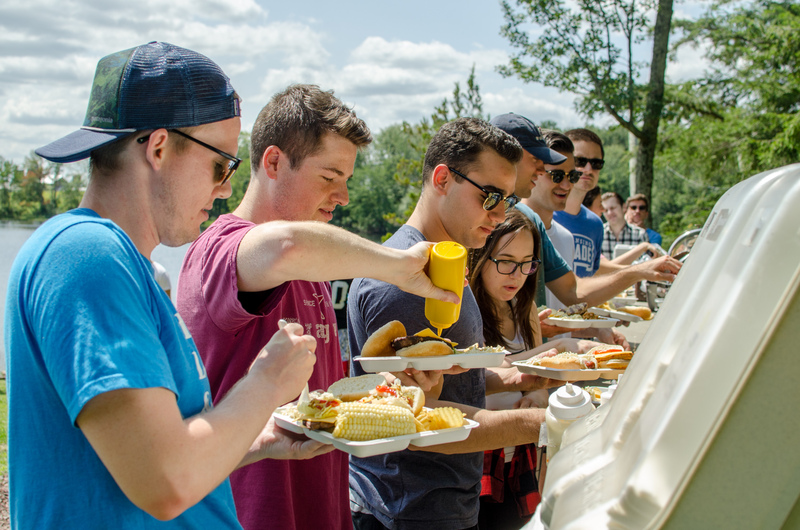 Whether it’s taking your company to a cooking class or shuttling everyone to a campground retreat, offsite staff retreats have multiple benefits. Better yet, the locations are getting even more creative and dynamic! Why are so many companies schlepping their team members somewhere other than the conference room to bond, work, and problem-solve? Read on to discover the benefits of creative company retreats, and nine team bonding ideas to amp up the fun. Psst..interested in learning other ways to keep your employees happy and productive? Get our Employee Happiness Toolkit, complete with hundreds of employee happiness ideas and a happiness survey. Research has shown time and again that taking healthy breaks and vacation actually boosts overall productivity. Being in a new space that is solely dedicated to a certain project or task will help your company gain more focus. Employees feel dedicated to the cause. And more focus leads to more productivity. According to a study conducted by the Harvard Business Review, teammates who connect directly with each other — and not just the team leader — work more efficiently and with greater overall success. Which is why that offsite is perfect for greater cooperation. Whether your staff retreat is a picnic at the zoo or a scavenger hunt inside your city’s most famous museum, it'll help bond people together. 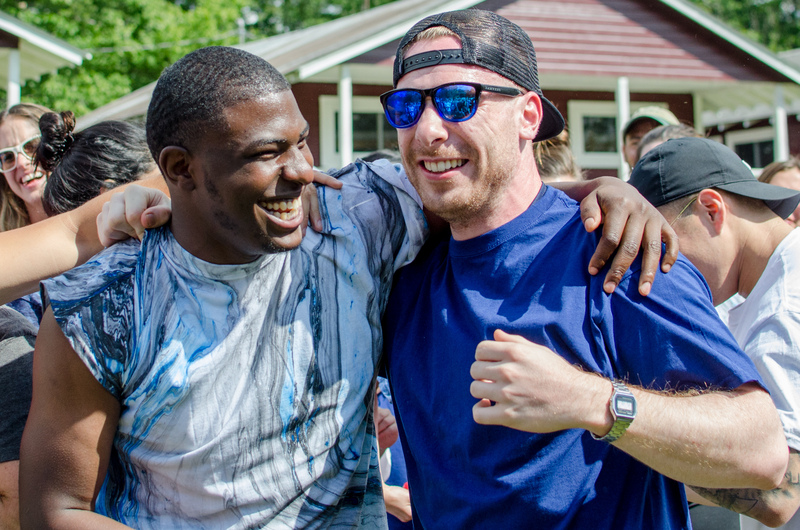 Being somewhere new and dedicating yourself to a mission makes team members come out of the offsite feeling stronger together. In overly technological and digital workplaces, offsites provide a space to bring your team together for some real face time. Do you have multiple offices in different cities? Bringing everyone to one place to work on a project — rather than over video conference — makes your team feel more connected. And they'll work better toward a common goal. Being in a brand new space when working through an issue can really get your team’s brain working in different ways. New setting= new ideas! Offsites encourage brainstorming and creativity, and they remove barriers that the office may have in place. So, you’re working on launching the new website and need a huge projector screen to get the visuals across to your whole team. An offsite with these large capabilities would be the perfect place to do this in one place at one time. How about an offsite at a theater? You can’t do that at the office. After a particularly nice day or weekend offsite, working on a new project or simply bonding, team members often feel ready to get down to business when back in the office. They might also feel that they reconnected with their team, happy about who they work with and what they are doing together. What Are Engaging Retreat Ideas? Check out places like Museum Hack, which offers some of the most creative team bonding ideas around. Companies like Meet and OFFSITE Chicago allow companies to rent out sleek, quirky spaces in which to hold their meetings and inspire their employees. They often come fully equipped with technology, internet, brainstorming tools (like easel pads), espresso machines, and sometimes even snacks. Some innovative spaces even have large format movie screens for presentations. It's something that everyone loves: eating a tasty meal. Arrange an offsite cooking class that will provide the fun and the food. What else brings people together more than that? Yes, I said it, wineries. Why not take your more casual meeting somewhere you can meet, eat, and try great wine? Companies are really doing this, and you can too! Whether you're in a big city or a smaller town, chances are there's at least one great restaurant that can accommodate your whole team. Bon appetit! This won't be quite like The Office's Olympic experience, but it sure is a way to compete, bond, and strengthen your team. Find a modern, chic, beautiful setting to make your team feel appreciated and luxurious while working. Being in the great outdoors can really bring a team together. Hosting your meeting at a place where your employees can explore great art, antiquities, or other memorabilia can make it more fun. And more fun means more energy and engagement at your next meeting. Related article: What is Employee Engagement and How Do I Make it Happen? Think outside of the box — and the office. Ask around and do your research, and you’ll find a creative and perfectly-suited place to host your offsite. Then, make sure you plan an engaging and worthwhile event. Bringing your team somewhere different can be a fun, welcome change for your company — and has many benefits. If your employees sit at a computer most of the day, this is the perfect way to engage their senses and get their eyes off the screen. Take your team to a place like Paint & Sip, where they can drink wine and create a miniature acrylic masterpiece in less than two hours. Even better, it’s a fun and unique way to decorate the office afterwards.